AireBeam Broadband WiFi and Antenna based Internet Service is available at the best RV Resorts in Southern Arizona. WiFi is a wireless Internet Connection that uses the 2.4Ghz frequency, oddly enough, the same frequency used by kitchen microwave ovens. Originally, WiFi was conceived as an indoor method to connect personal wireless devices to a home network, often connected to the Internet. Originally, the only sources of residential WiFi signals were wireless routers. But, Cell Phones recently were given the capability to become WiFi "Hot Spots" so that wireless devices like laptops, located a few feet from the HotSpot, could communicate easily while in the presence of a Hot Spot enabled Cell phone or Air Card. The optimum operating distance between the personal wireless device and the HotSpot source is under 20 feet. RV Resort WiFi is an adaptation of the original WiFi concept. The adaptations make it possible for devices located within a few hundred feet of the WiFi source to get and maintain a quality connection. But, the quality of the return connection from the guests' personal wireless devices can be degraded by factors such as a) Foil backed insulation in the walls of an RV (Foil blocks WiFi); b) Park Model construction materials; c) and, most importantly, interference caused by Cell Phone Hotspots, Air Cards and wireless routers carried into the RV Resort by other guests. Today, many RV Resort guests arrive with personal Hot Spots enabled. Since these Hot Spots use the same WiFi frequency used by all Personal WiFi devices, they create interference which makes it difficult for other guests' wireless devices (located inside an RV) to get and maintain a fast and reliable WiFi connection to an RV Resort Access Point located a few hundred feet way. 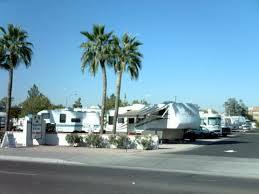 Additionally, many residents of RV Resorts occupy Park Model homes and not RVs. These homes are constructed using materials that BLOCK WiFi signals. So, in addition to traditional RV Resort WiFi service, AireBeam offers an enhanced method of obtaining an excellent Internet connection in RV Resorts; Antenna Transceiver Internet Service. Our installers mount an antenna / transceiver (operating on the 5Ghz Frequency far away from the frequency used by WiFi devices) and run an Ethernet cable. The cable can be connected either to a single device with an Ethernet Jack or to a wireless router to create a wireless environment. Whichever option you choose, please DO NOT ALTER THE QUANTITY from ONE (1). Otherwise you will be buying that many of the option that you have chosen. If your payment is declined, you can change the card that you are using and try your payment again. Do NOT start your subscription process over again or you will have 2 or more invoices. Even though your card was declined, your username and password will work so just point your web browser to https://billing.airebeam.com and login and click on Payments.